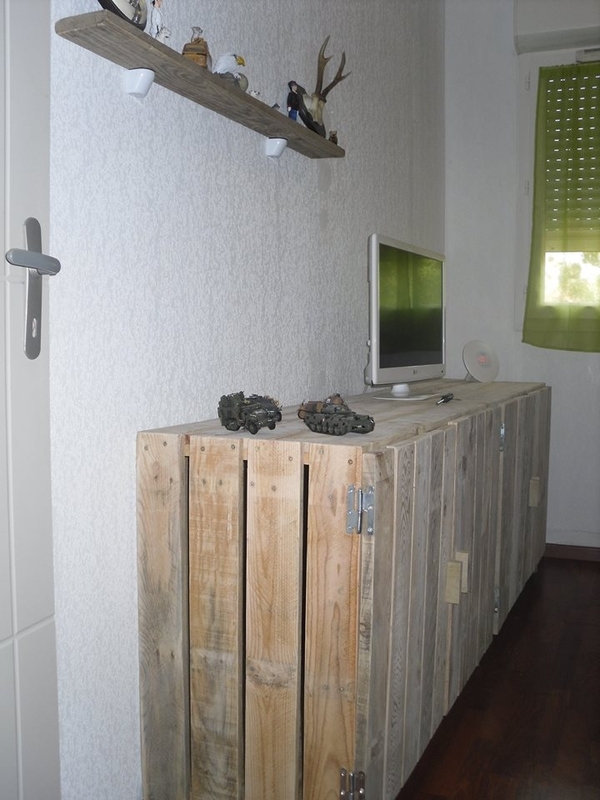 Pallet is such an admirable object that it gives you complete freedom while working on it. You can cut, mould, stain and shape it exactly the way you want. In addition to that it is also pretty cost effective as it comes free of cost. Not literally, but almost every one of us has piles of old pallets lying in our backyard so we have all the freedom to do experiments with wooden pallet. 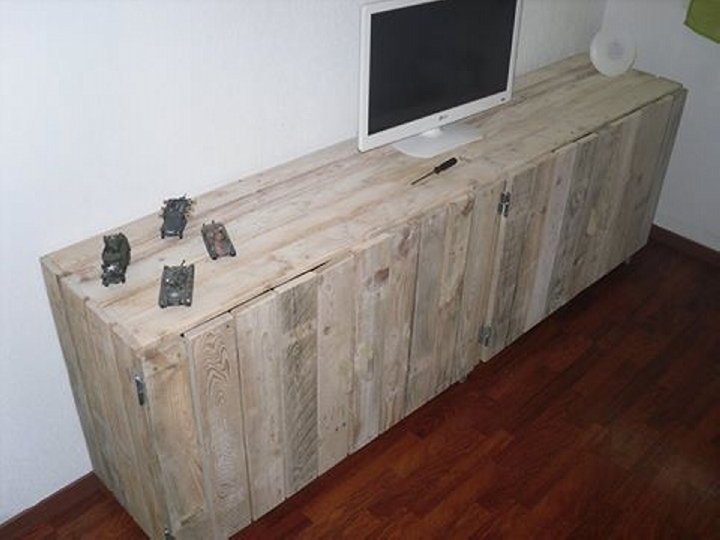 So lets make a pallet wooden TV stand with storage. As far as a simple TV stand is concerned it sounds great, but if it also has some additional storage space, it would sound simply superb. As in today’s urban life, all of us are running short of storage space so this pallet TV stand along with additional storage space is a great piece of incentive for every one of us. 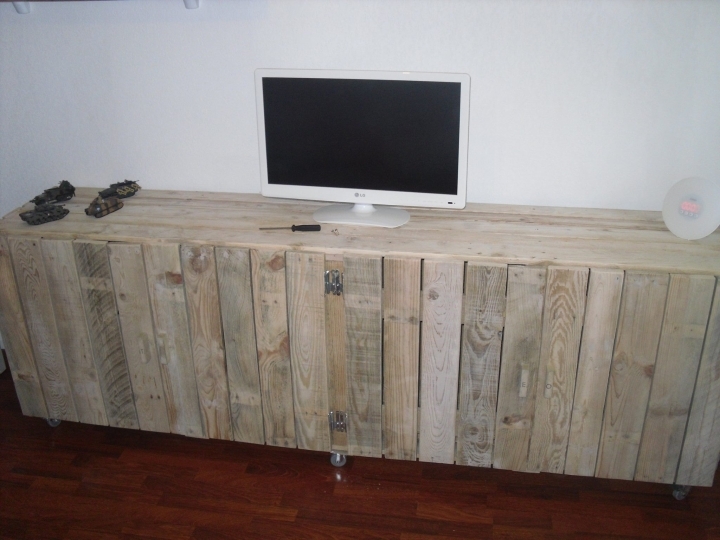 We have already recycled a number of pallet TV stands with the wooden pallet but unfortunately they were not as stylish as this one. Because this is going to be a multi purposed pallet TV stand where we can place our TV set safely, and it also provides us with ample space of storage which is going to help us in numerous ways. 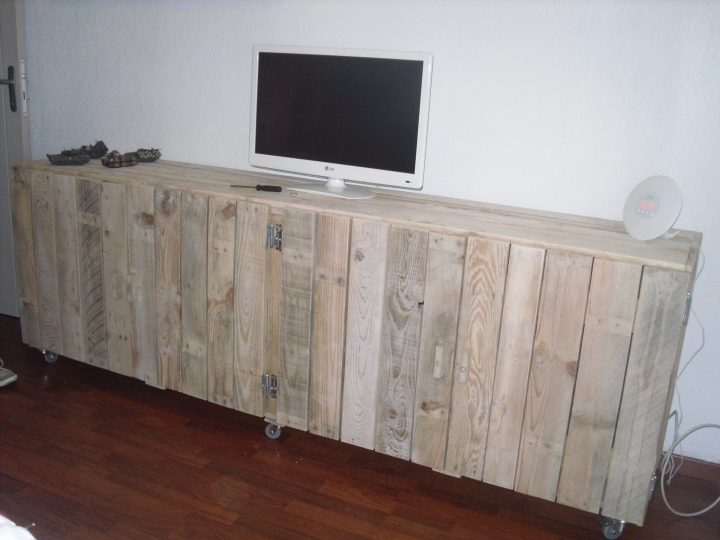 Now coming towards the feasibility of this pallet wooden TV stand, we see that we would not require any additional material other than the old pallets. Just a couple of metallic fixers and nails are going to be required in executing this project, and also a couple of some basic wood work tools. This is a huge and long pallet TV stand, straight wooden pallet planks are fixed and joined together to make this stand. Not only this would help in accommodating TV set safely, but would also compliment our home interior a lot.